Yes, voting is important. Even in local elections. And on local issues. Last legislative session, state Sen. Don Huffines campaigned on getting rid of Dallas County Schools, which ran the school buses throughout Dallas County. Voters approved it, mostly out of annoyance over cameras that caught and fined drivers for speeding around a stopped school bus. 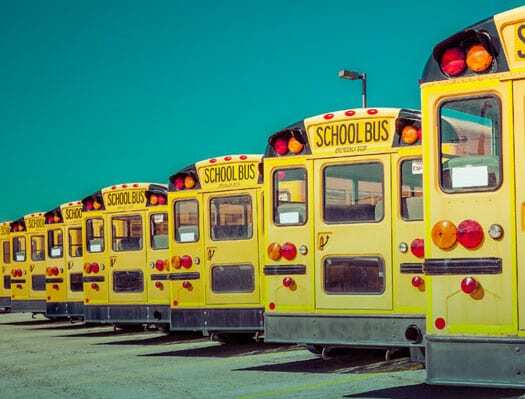 Dallas County Schools is gone and local school districts became responsible for buying buses and hiring bus drivers, adding a new level of bureaucracy to every Dallas County ISD. No cost savings. But how are those new buses doing? Today, a Coppell ISD bus caught fire in Irving. All the children were evacuated safely. A couple of weeks ago, a Mesquite ISD bus veered off the road and caught fire. One child was killed. On Sept. 28, a Richardson ISD school bus flipped over after colliding with another vehicle. Two pre-kindergartners were taken to the hospital. Dallas ISD buses throughout the district are habitually late. The DISD busing system hired more than 1,000 new employees just to get kids to school. Five administrators of the new bus system were fired in September for doing such a miserable job. DISD is looking to DART for some help in getting kids to school. This is what we got when Dallas voters elected Don Huffines. Did Dallas County Schools need to be revamped? Sure. But kids weren’t getting injured and killed every week as they are now. This was Huffines’ signature piece of legislation. His district includes parts of Oak Lawn and stretches up to the Collin County line. Reward him appropriately in the upcoming election. Nathan Johnson is his opponent. Early voting begins on Monday, Oct. 22.